On Thursday 7th February I’m travelling to the “Alpha & Omega” conference in Izmir, Turkey. It’s a gathering of leaders from all around the UK, Ireland, other parts of Europe, Scandinavia, the Nordics, and the Middle East. We’ll be learning from one another and visiting several Biblical sites located in that part of Asia Minor. Please pray that I and all who attend will return with our faith refreshed and our hearts purified. Where wifi permits I’ll be posting updates as we go. 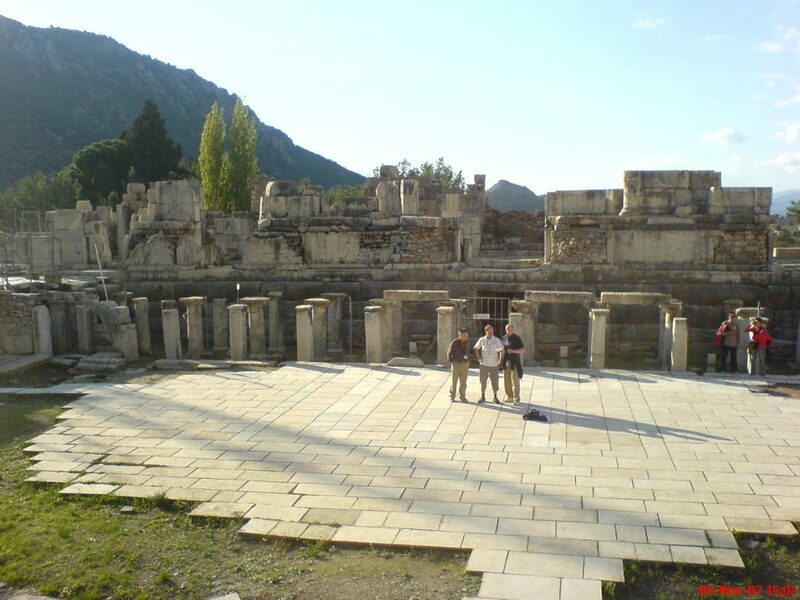 The last time I was in Ephesus, 12 years ago. Andrew, Simon and I sang “The impossible dream” in the amphitheatre. I wonder what the Apostle Paul would have made of that!